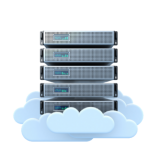 1 Cloud hosting plan – Multiply it as much as you need! Crazy simple. Flexible Cloud hosting you can quickly multiply as needed. Truly scalable UK Cloud Hosting with self healing and 100% uptime. Cloud hosting is a web hosting platform which looks, acts and feels exactly like a normal dedicated server but shares the resources used between other clustered physical servers in the cloud. The difference from VPS hosting to cloud hosting is that instead of using 1 physical server split into chunks, cloud hosting use’s multiple servers working together and is completely infinately scaleable simply by adding more physical servers to “The Cloud” building a bigger and bigger cloud. Its a VPS that can grow as big as you want without the physical hardware barriers. Imagine the power to instantly flex your server resources to cope with viral marketing campaigns, unexpected Twitter popularity or new product launches – but without the cost, time and disruption of changing physical hardware. Imagine no longer. The WESH UK Cloud gives you all this and much more. Of course, being part of our existing network, you can expect the outstanding performance you’re already used to. Our new cloud hosting platform is your extensible server platform that you can scale to your own requirements as and when you need. Prices start from £30 per cloud slice which provides 5GB of disk space, a guaranteed minimum of 512MB of memory and 100GB of monthly traffic, and if you need more, simply purchase as many slices to add you your cloud as you need. If your requirements grow, add more slices, and should your requirements shrink, simply scale down your number of slices. Totally scale-able web hosting for your every need. We don’t oversell our Cloud Hosting or make false promises hoping you wont use what you pay for.. Pay only for what you need and you will be guaranteed those resources, no exception. 100% Managed Deployment & scalability. New server required? We deploy it for you asap. Upgrade needed? Again, we will take care of it for you. Upgrade in seconds. 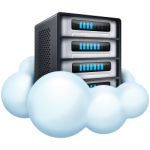 Our cloud hosting is 100% managed for you. Centro Data Centre, 100% secured by humans, biometrics, airlocks and vehicle protection 24 hours a day and backed by full N+1 UPS and generator backup with 24/7 staff on-site. Keeping your Data in the UK & GDPR Compliant. Our Cloud Hosting platform is 100% powered by Dell PowerEdge servers and combined with EqualLogic storage creates a perfect always-on cloud hosting platform. Instant cloud server failiure protection. If there is ever a problem with the hardware running your node (Cloud server), our systems immediately re-deploy to equipment on hot standby, giving you zero downtime. Building on our already established UK network, we have deployed a high-speed infrastructure designed specifically for our UK cloud hosting that is separate from our shared web hosting.